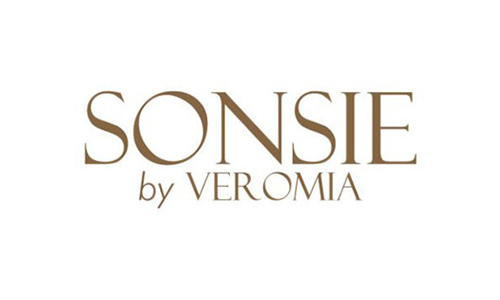 The La Bella Sposa team is delighted to add the Sonsie Collection by Veromia. 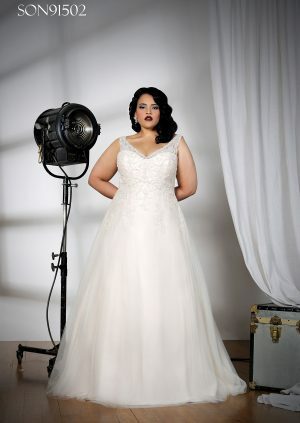 This multi-award winning collection of stunning gowns for the curvy confident bride, featuring shapely A-lines, romantic ball gowns with provocative fit and flare fish tales, is designed especially to flatter and shape the fuller figure. With clever use of corsetry this collection features rich satins, soft laces, delicate chiffons, organza and tulles. Also featuring stunning colours and delicate use of embroidery, beading and embellishments …. all of which combine to create sultry, effortless exquisite gowns. Our full collection of hand picked dresses from the Sonsie Collection are featured below. If you have any questions regarding any of the dresses below, please contact us.